Twitter started out as a humble micro-blogging platform where users were restricted to simple 140 character updates. Since then, Twitter has grown to become one of the pre-eminent social media platforms. The company is valued at over $20 billion, but since it is free for people to sign up and use the service, many have wondered how Twitter makes money in the first place. Twitter's revenue streams are fundamentally divided into two main categories: on-site advertising and data licensing. More and more companies are recognizing the value of Twitter as a marketing tool and Twitter, in kind, provides three forms of advertising through the social network's website and mobile apps. Normally, the only tweets that appear in a user's timeline will come from Twitter profiles that he or she is following. Promoted tweets are the notable exception to this. For a fee, Twitter will insert a company's promoted tweet into the timelines of users. These users can be targeted based on their demographics, location, the profiles that they follow and the device being used. Promoted tweets are designated as such within user timelines. For example, Samsung may have a tweet advertising one of its new smartphones. For this campaign, it may target users in the United States who already follow other similar tech companies and are viewing the tweets on an iPhone. Typically, companies do not pay a flat fee to Twitter for this service. Instead, they may pay based on the number of 'clicks' or 'retweets' that the promoted tweet receives. This is similar to many other forms of online advertising that are based on user actions. 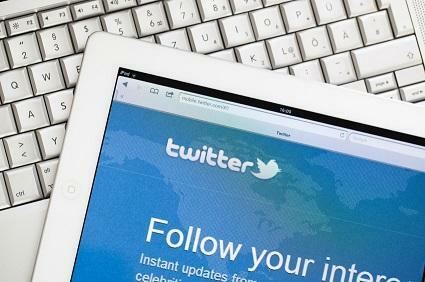 Companies can also pay Twitter to promote their Twitter profiles in an effort to gain more followers. Users who log into their Twitter accounts will usually be shown a few profiles that they may wish to follow. These suggestions are usually generated via an algorithm that takes in account common demographics or if the profiles follow the same people. When a company bids to have its profile promoted, then its Twitter profile will appear as one of these suggestions to the users being targeted. Along the sidebar of the Twitter website is a list of current trending topics. These may or may not necessarily take on the form of a hashtag. These trending topics can give users a good idea of what stories and news items are currently generating 'buzz' on the web. A company can pay to have a trend promoted for a certain period of time. The National Football League (NFL), for instance, may pay to have #SuperBowl promoted during the big game each year. In addition to promoted tweets, promoted profiles and promoted trends, Twitter also makes money by licensing out the publicly accessible data that it is able to gather from its over 230 million users. This data is referred to as the firehose. Companies that have access to the firehose include DataSift, BuzzFinder and Gnip. These firms utilize sophisticated analysis to glean pertinent insights for their clients, who are interested in discerning consumer trends or getting a greater overall sense of brand sentiment. Analysis of firehose data can get very sophisticated. In a BBC News interview, DataSift founder Nick Halstead said, "U.S. football teams will analyse the popularity of players by region to work out how much they should buy of a particular football top to stock them in shops." Is Twitter a Profitable Company? Despite generating $665 million in total revenue in 2013, which represents a 110% increase year-over-year, Twitter still posted a net loss of $645 million in 2013. While the revenue numbers continue to increase and the micro-blogging platform continues to explore other monetization opportunities, Twitter is not yet a profitable company. That may change in the coming years.